Prime Minister Theresa May reset her “mainstream Conservative agenda” on Wednesday, taking on her critics, even a protester who interrupted her mid-speech, in an attempt to prove she can lead Britain and secure a strong Brexit. 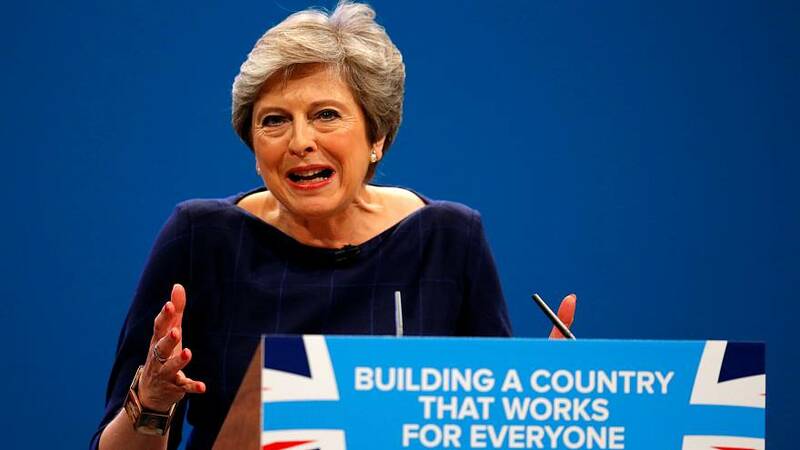 In a keynote conference speech when the protester and a coughing fit brought her words almost to a halt, May won over many members in the hall by promising to reinvigorate the party by offering pledges to younger people and families alike. The 61-year-old May also said she didn’t mind being called the “Ice Maiden” but that unlike many of her critics she came from lowly beginnings, something that convinced her of the need of what she called a British dream. Her address could be make or break for the prime minister, whose attempt to present a united front at the conference has been undermined by Foreign Secretary Boris Johnson, a possible leadership contender who received rousing applause for his speech on Tuesday. “This is a Conservatism I believe in, a Conservatism of fairness and justice and opportunity for all, a Conservatism that keeps the British Dream alive for a new generation,” she told the cheering crowd.